A gala dinner is set to be held in Titanic Belfast to raise vital funds for St Vincent de Paul’s work in local communities and further afield. Recent statistics have revealed that there are 26 per cent of children living in absolute poverty in the north – and that’s something that St Vincent de Paul (SVdP) are working hard to address. Their members make over 2,000 visits to families and individuals each week to offer help wherever and whenever it’s needed. Regional Fundraiser Joseph O’Neill explained that the organisation receives very little funding from government and so events such as the gala dinner are vital in making sure the charity can continue its important work. 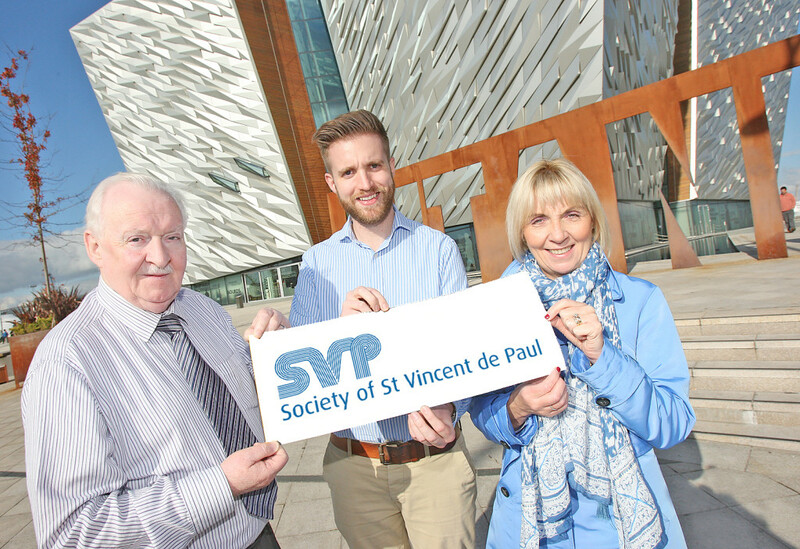 “Fundraising events like the gala dinner in Titanic are so important for SVdP,” said Joseph. “We get very little funding from the government so events like this, and the weekly collections our members have, are our main source of income. We are seeing an increase in demand for our help year on year. The unfortunate thing is we don’t have the money to help everyone who needs it. On top of its core work of helping families in need, SVdP has been working closely with foreign nationals who have recently arrived in the north. It also works in the developing word and recently launched a major fundraising drive for refugees fleeing Syria. Aidan Crawford, SVdP Regional President, is currently in Greece helping to coordinate the SVdP relief effort and distribute the clothes, toys and blankets the people of the north have donated.